Machine learning (ML) has increasingly been delivering value for large financial institutions as they invest in the technology to attract new customers and streamline operations. Recent advances in the technology underpinning artificial intelligence (AI) have enabled financial institutions to explore the application of ML techniques in their client facing operations. Consolidated Audit Trail: A Reaction to the 2010 “Flash Crash"
The Securities and Exchange Commission (SEC) ordered the creation of the Consolidated Audit Trail (CAT) in 2012 after regulators realized that they did not have enough market data to explain the Flash Crash that occurred in May 2010. CAT addresses the audit trail of all transactions, providing information and checks and balances for market activity. In fact, CAT greatly expands on the requirements of the Order Audit Trail System (OATS) regulation, which was adopted in 1998. The current RegTech landscape spans the technological spectrum from static data processing and reporting solutions to dynamic real-time transaction monitoring platforms. RegTech companies utilize emerging technologies such as machine learning, data analytics, artificial intelligence, cloud computing, biometrics, blockchain, cryptography, and many others to deliver solutions that enable faster, more accurate, and less labor-intensive compliance for various financial regulatory regimes. Following the collapse of Lehman Brothers in 2008, the Dodd-Frank Act granted the FDIC Orderly Liquidation Authority (OLA) powers to serve as the receiver of a complex financial institution and prevent counterparties from terminating Qualified Financial Contracts (QFCs) with the firm. This paper examines some of the specific reporting rules put in place to enable a rapid reconciliation of QFCs under the OLA. One of the largest areas of regulatory growth since the financial crisis has been in the area of Non-Financial Regulatory Reporting (NFRR). Three key challenges for firms going forward will be: coordinating NFRR efforts across the firm, establishing robust data governance, and managing reporting requirements that vary across time and jurisdictions. Records retention strategies for Wall Street broker-dealers are being challenged by existing and new regulations that require an increasingly large amount of complex transactional data to be stored for longer periods. Helping to meet this challenge are new technologies that can reduce the total cost of ownership while meeting the requirements of the law. Global financial services firms face an increasingly complex business and regulatory environment and are constantly in search of ways to streamline operations and reduce costs. Recently, robotics process automation (RPA) has emerged as a viable technology platform that will provide companies with an alternative to labor arbitrage to realize significant cost reductions in the automation of once manual processes. Within the financial services and technology industry, it is hard to go a single day without hearing, speaking, or reading about blockchain and cryptocurrency technology. While it is easy to dismiss this technology as a passing fad given its meteoric rise, it is prudent to understand what it enables and how it can be applied within the financial services industry. Away from the regulatory spotlight, a revolution has been under way: Financial technology (‘FinTech’) firms, with a fresh outlook and a customer-centric approach, are breathing new life into the financial services industry. Projections have shown that in September 2020, the number of OTC market participants subject to the stringent initial margin (IM) regulatory requirements will explode from a few dozen to thousands of entities. The significant increase in covered entities will be caused by the average aggregate notional threshold being lowered from $750 billion in 2019 to $8 billion in 2020. Compared to the March 2017 variation margin (VM) requirements industry-wide adoption, complying to IM rules after this change will be much more complex. 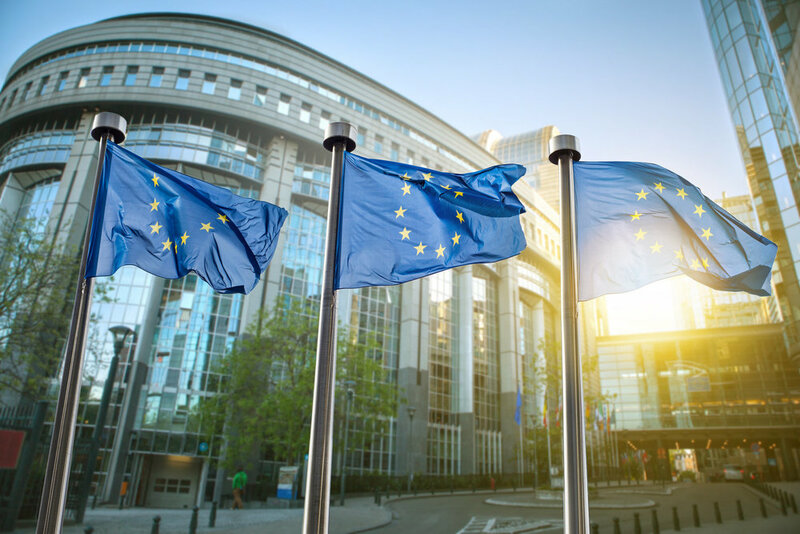 The major changes stemming from Brexit could be almost three years away, but with legal certainty around such a transition period still not finalized, global banks are moving quickly with their own internal plans to prepare for day one operational readiness. Monticello takes a look at what they’ll need to prepare for and how. MiFID II is one of the furthest-reaching regulatory challenges to hit the European market in the past decade. Monticello walks you through what it means and how to adapt. As the FinTech industry continues to thrive and regulators require more transparency, banks and other large financial institutions are beginning to look more like technology companies. Information technology (IT) is rapidly transforming from a support function into a group critical to a bank's market competitiveness. MCG examines how middle office transformation and automation is critical to success in this changing space. Monticello CEO Will Morgan takes a look at upcoming challenges and opportunities facing the Financial Sector, and how finding the right expertise can make a huge difference. Businesses today understand the importance of improving the end-user experience of their software applications. A well-designed user experience increases productivity, adoption, and operational efficiency. MCG recently helped a large financial institution do just that, by helping them clearly understand and implement their end-users’ requirements using an Agile framework. Monticello Consulting has worked with numerous banking and finance firms on forensic accounting projects. On these engagements, our consultants leverage Monticello’s proven methodology and structured approach to financial reconciliation to assist our clients in quickly resolving issues in their accounting and subledger systems. Take a look at our process here. Most of us take for granted the state of technological innovation we enjoy today. In fact, keeping up with the latest developments is a continuous challenge for individuals and organizations alike. At Monticello, we have been part of the most technologically innovative programs to affect the banking industry in the last five years, including advanced application development in Python, Agile delivery services, analytics and business intelligence solutions, and UI/UX re-engineering projects. Data is a concept which everyone can relate to. It is the building block of information and, ultimately, knowledge. Data visualization is the art and science of communicating data and information using graphics. MCG consultants share their expertise in data visualization with you here. At Monticello Consulting, we have developed and refined a testing framework to ensure that quality is integral to the program from the outset, starting with the generation of high quality business requirements that are traced through to completion in our comprehensive test plans. Whether in an Agile or a Waterfall program, our framework incorporates information feedback to achieve ever-higher levels of quality in the end product. CEO Will Morgan takes a look at the landscape of the Financial Services sector as we head into 2016. The rationale that drove regulators to pass the Volcker Rule is clear, but the interpretation and implementation of the rule by financial institutions is incredibly complex. A great deal of compliance and legal oversight is now required to perform some of the most basic and essential banking functions. Monticello takes a look at some of the intended - and unintended - impacts of this provision. A Monticello expert shares his early impressions of using Python. In recent years, new and revised capital markets regulations-including Dodd-Frank, Basel III, and KYC-AML-are forcing financial institutions to adopt sound enterprise data governance policies for compliance purposes. Monticello shares how it’s helping the Financial Sector implement strong data governance programs. Linear regression analysis can be used to predict future values based on previously realized results. In this newsletter, MCG provides a tutorial that showcases a simple analytical tool a busy manager can readily leverage in Microsoft Excel. A top-tier investment banking client recently engaged Monticello Consulting to develop an automated tool to reconcile its back office processing system for derivatives, futures, and options with the Give-Up Payments System (GPS) run by the CME Group. See how we helped them save time and cost while reducing risk through a new tactical technology solution. Monticello was called upon by a top swap dealer to implement a tool to reconstruct the DTCC’s monthly data quality metrics on a daily basis. The result was a streamlined and user-friendly toolset that allowed our client to identify, investigate, and resolve data issues before they impacted reporting. July 2015 marked five years since President Obama signed the Dodd-Frank bill into law. We would like to acknowledge the anniversary by taking an objective look into the impacts of the mandate forged in the aftermath of the 2008 financial crisis in an effort to reform the financial services industry. Here, we outline the major objectives of Dodd-Frank and some of its impact to date, as well as highlight how MCG can help your firm fine-tune its strategy to meet regulatory requirements. Today, with the sheer volume of data and the numerous channels for its collection, CIOs and the executive suite are being forced to put enterprise data strategy first in business technology decisions. MCG CEO Will Morgan looks at some parallels, and what it means for financial businesses today. Monticello frequently employs simple—yet effective—tools in order to accomplish our data mining and analysis goals. Here is a list of practical tools and short tutorials showcasing how powerful they can be for the business executive’s day-to-day decision making. Most businesses work with data in various formats as part of their operations. Inherent to this are the challenges involved in deriving value from their data to benefit the organization. Monticello Consulting Group can help you discover the solution that best fits your organization, as well as partner with you to make that solution a reality.